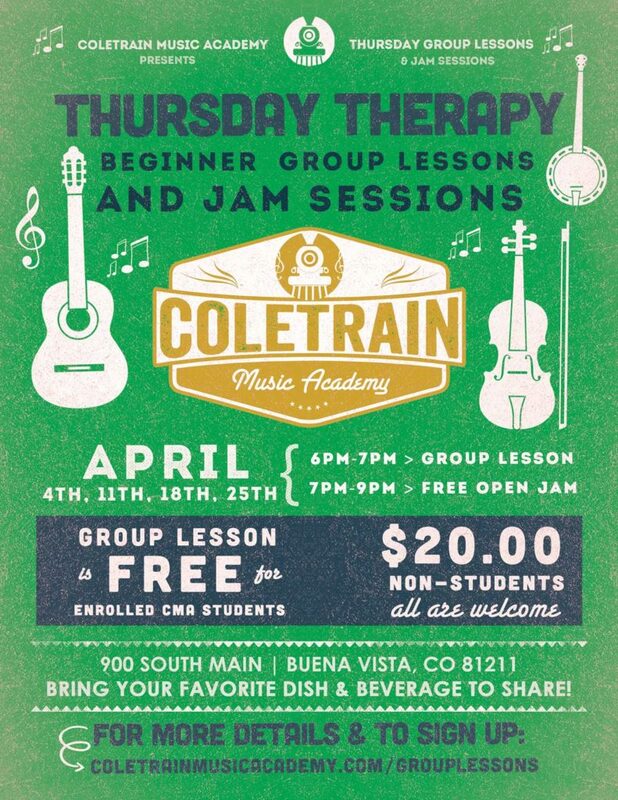 Join Coletrain Music Academy for Beginner Group Lessons followed by an Open Bluegrass Jam. Group lesson is from 6pm to 7pm and is free to currently enrolled CMA students, $20 for non-students. Open jam is free and will start immediately following the lesson from 7pm to 9pm. We welcome any and all musicians looking for community and camaraderie! And don’t forget to bring your favorite beverage and snack to share!